Guess who volunteered to cook Christmas brunch? This girl did! I told my Mom in advance “French Toast Casserole is where it’s at!” Although she rolled her eyes, I know she was excited. What I like most about this recipe is the flexibility it offers. You can choose any type of bread (although I‘ve found thick loaves bake and taste better), add various spices (such as cinnamon, nutmeg, etc.). Although this is a fairly healthy recipe to start with, you can health-ify the recipe further by replacing butter with margarine, egg substitute in place of eggs, and skim milk instead of whole. 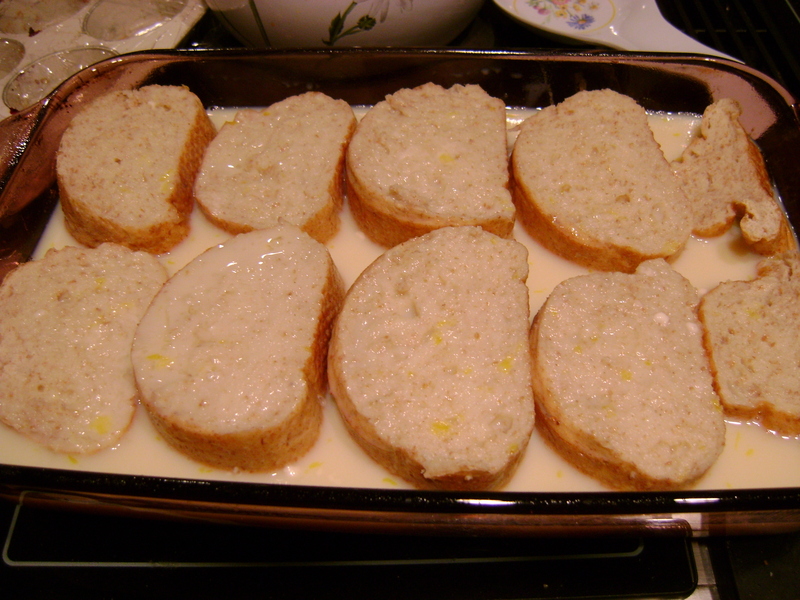 On Christmas Eve, I prepared the casserole using a whole wheat semolina loaf…anyone else like this bread? It’s delicious! Dense, yet surprisingly light. Overall, it took no longer than 5 minutes to prepare this dish. Then I simply popped it in the fridge to sit overnight. On Christmas morning, all I had to do was place it in the oven. 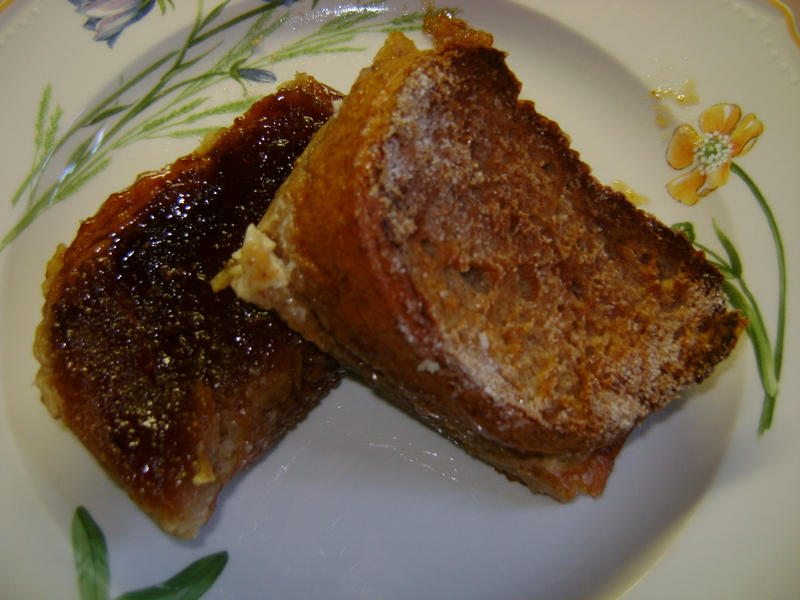 We enjoyed it along side of ham and swiss egg casserole, with fresh fruit…a perfect combination. If you’re looking for a stand-out brunch recipe, look no further. -Melt margarine in a 9 by 13’’glass pan. -Stir in the brown sugar and cinnamon. 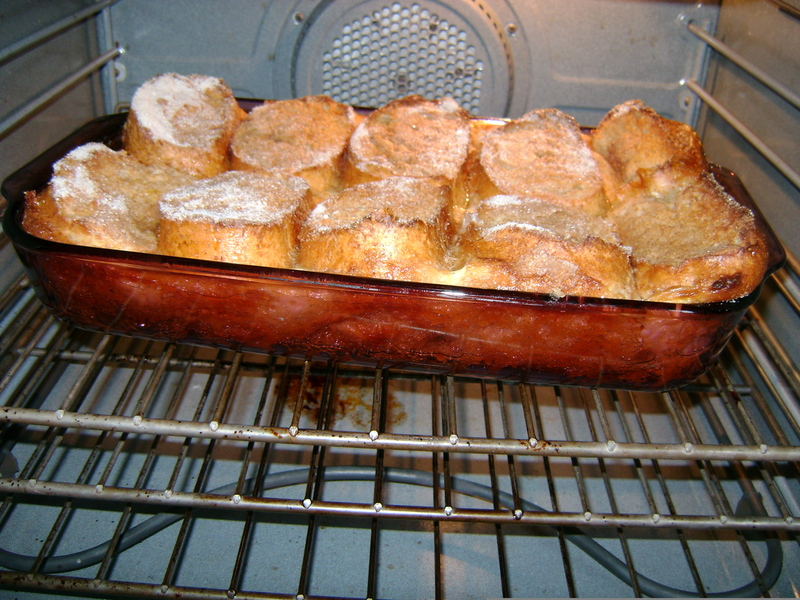 -Place 6 slices of bread on top of the mixture. -Top the slices with 6 more pieces of bread. -Beat the eggs with the milk. -Pour this mixture over the bread. -Bake at 350 for about 20 minutes. -Turn each piece over and bake another 20 minutes or until each slice puffs up.